It is that time of a year when you can make a difference. 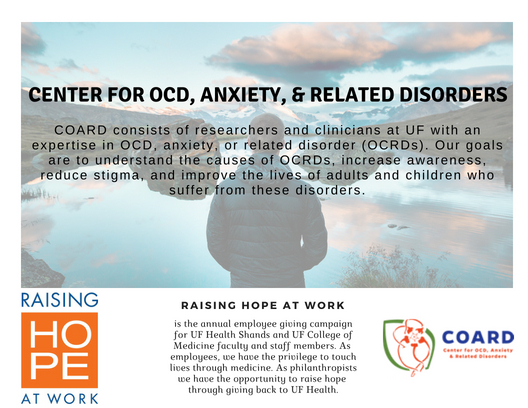 Raising Hope at Work is the annual employee campaign for UF Health Shands and UF College of Medicine faculty and staff members. 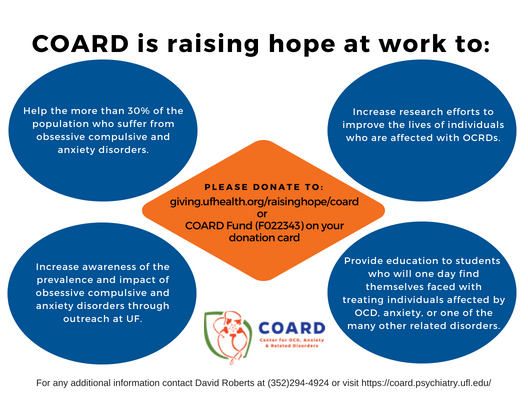 We have the opportunity to help our goals to understand the causes of OCD, anxiety or related disorders (OCRDs), increase awareness, reduce stigma, and improve the lives of more than 30% of the population of adults and children who suffer from these disorders.